The Utah State University Extension office in Davis County will move to a new location within the next year, thanks to $1.2 million in funding from the Utah State Legislature at the recent legislative session. 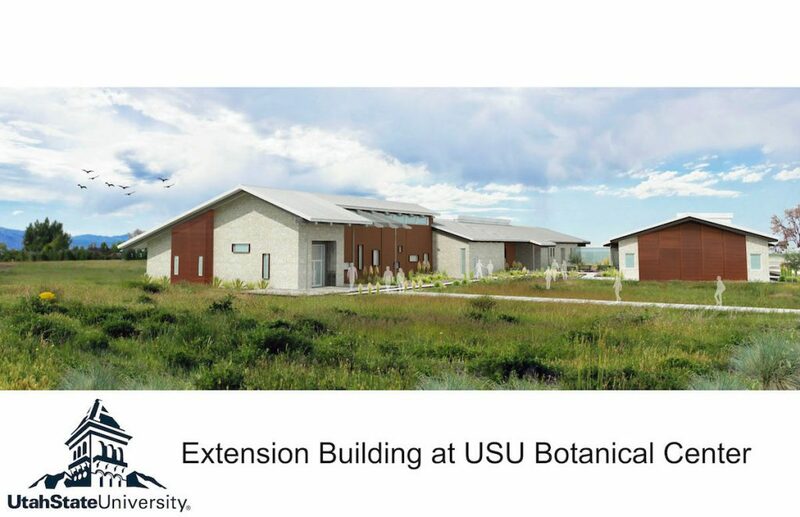 The office will be constructed on the USU Botanical Center property in Kaysville, and the building will be part of an addition to the existing USU Kaysville Education Center. The current USU Extension office is located at the Davis Memorial Courthouse in Farmington. According to Justen Smith, director of USU Extension in Davis County, there has been a disconnect as far as what Extension faculty can do for the public since most of the classes and activities Extension offers take place in Kaysville, but the Extension office is located in Farmington. “The new Extension building will be a welcome addition to the Botanical Center property that has developed into a regional destination for Extension and educational programming,” he said. Smith led a team consisting of Kaysville City Mayor Steve Hiatt, Kaysville City Manager John Thacker and Davis County Commissioners Bret Millburn and Jim Smith in submitting the funding proposal for the 2016 legislative session. State Representative Stewart Barlow carried the proposal forward with backing from State Senators Stuart Adams and Jerry Stevenson and State Representative Brad Wilson. Smith said the funding success could not have been possible without the legislative support and the elected officials’ vision of what USU Extension can do in serving and bettering the lives of the citizens of Davis County and Utah. According to Millburn, Davis County is a strong supporter of Extension and has for a long time believed that an ideal situation would have them co-located at the Botanical Center. “Relocating Extension Services to Kaysville will bring a whole new dimension and realm of possibility to the center,” he said. Smith said Extension faculty can now literally walk out of the office and within a hundred feet, show the public what vegetables, berries and fruit to grow instead of just telling them. Smith said Extension being located on the property completes the “Farm to Fork” vision for sustainability of Utah families. For further information about the building project, contact Smith at 801-451-3413, or justen.smith@usu.edu.